Real Madrid and Atletico Madrid meet at the Bernabeu on Sunday afternoon, in a deciding match for the 2nd place behind Barcelona. Who will win this Madrid Derby? Don't miss our Real Madrid vs Atletico Madrid betting preview with predictions, betting tips, probable lineups, team news, enhanced odds, exclusive betting offers and no deposit free bets on La Liga! Real Madrid come from two consecutive 3-0 victories, overcoming both Las Palmas in La Liga last weekend and Juventus in the Champions League in midweek. While they already have one foot in the UCL semifinals, the Blancos sit 3rd in La Liga standings, trailing league leaders Barcelona by a whopping 13 points. The Galacticos have rediscovered form at the right time, having won 11 of their last 12 competitive games. The reverse match at the Wanda Metropolitano back in November ended goalless as the two sides managed just four shots on target between them. Zinedine Zidane declared to the Spanish media he has no new injury concerns ahead of the derby. The Frenchman remain without the injured Nacho Fernandez and may also choose to rest Raphael Varane, giving Jesus Vallejo a rare start as centre-back. Lucas Vazquez, Gareth Bale and Marco Asensio are likely to come into the starting XI for Real Madrid. Mateo Kovacic is also tipped to feature from the off, alongside Casemiro in a 4-4-2 starting system. Atletico Madrid go into the game in second place in the table and four points clear of their local rivals. After a bloody 2-1 defeat at the hands of Villarreal in the league, the Colchoneros returned to winning ways by beating Deportivo La Coruna 1-0 in front of their own fans and managed to win their Europa League quarter final match over Sporting CP on Thursday (2-0 at the Wanda Metropolitano). Atleti possess La Liga’s strongest defence whilst Real are the joint top scorers. As to direct matches, Diego Simeone's men have won three and drawn one of their last four league visits to Bernabeu. Jose Gimenez and Sime Vrsaljko are both expected to miss the game through injury while Filipe Luis is out of the rest of the season for the visitors. The likes of Juanfran, Diego Godin, Stefan Savic and Lucas Hernandez are the only four fully fit defenders and are expected to form the four man backline. Diego Costa and Antoine Griezmann should lead the line with Koke and Saul Niguez out wide. Thomas Partey and veteran Gabi should anchor the midfield. 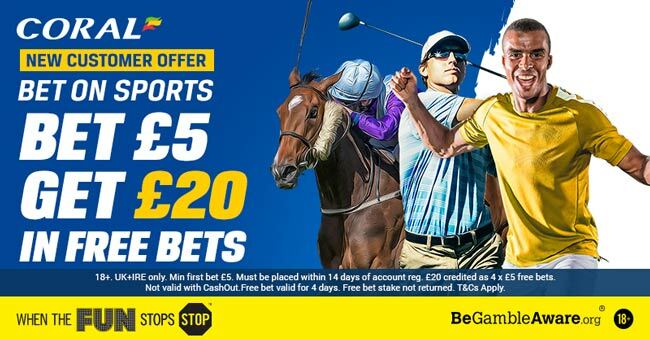 We also suggest our readers to take the best odds around and we compare prices from over 70 of the best online bookmakers. 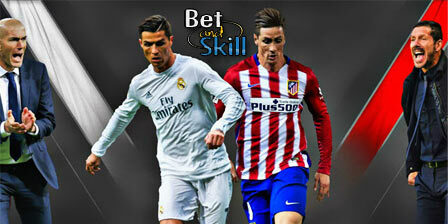 Find here the highest odds on the Real Madrid vs Atletico Madrid match winner! Take also a look at our odds comparison table and enhanced odds sections! After a deep analysis of all the relevant team stats and betting factors, BetAndSkill's professional tipsters have published the following four betting tips. Feel free to copy them and eventually post a commetn at the bottom of this page. And don't forget you can use the cash-out feature to guarantee you a profit. Find here all the cash-out betting sites. Looking for more La Liga match previews? Visit our great Spanish Football free tips section! "Real Madrid vs Atletico predictions, betting tips, lineups and live stream (La Liga - 8.4.2018)"